Pot au Feu (literally "pot on the fire") is as simple as it sounds, involving meat and vegetables cooked in water until tender. But it's the decidedly French culinary techniques that have elevated this dish past its humble roots to become one of the most cherished classics of French cuisine. 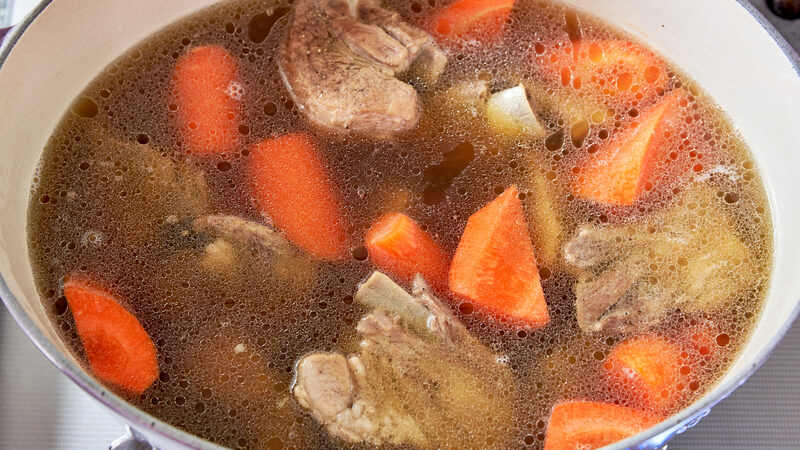 While boiled meat and vegetables may not sound all that appetizing, it’s a classic preparation that transforms tough cuts of cheap meat into something magical, with the power to comfort and warm as few other dishes can. 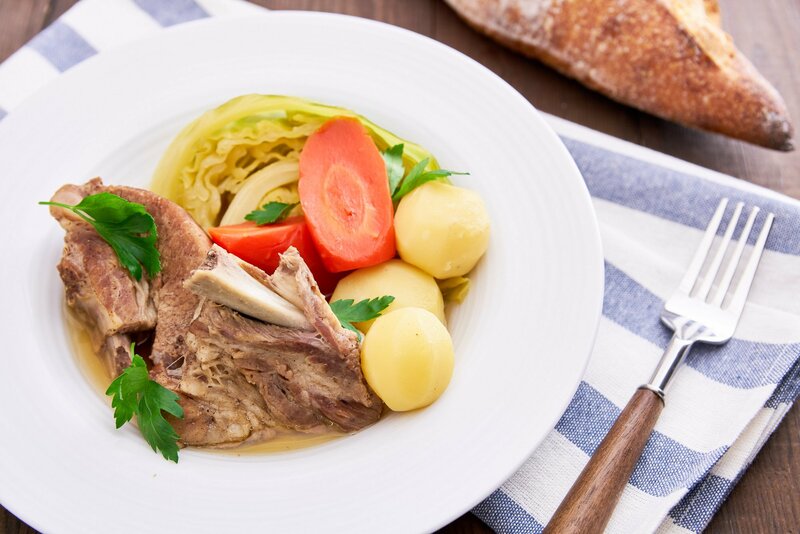 As a testament to its delicious simplicity, similar dishes can be found around the world whether you’re talking about Austrian Tafelspitz, Italian Bollito Misto, or American Corned Beef. 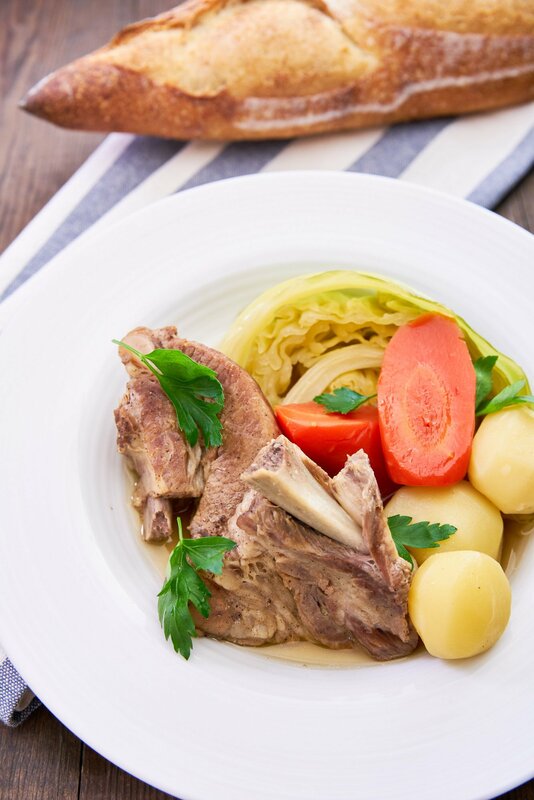 Pot au Feu is usually made with beef bones and meat, but I’ve chosen to use pork spareribs for their combination of flavor and collagen-rich connective tissue that makes the meat fall-apart tender. Curing the ribs with a dry brine mixed with juniper berries, cloves, allspice, and fennel seasons the meat through, concentrating its flavors while imparting the beautiful fragrance of the sweet spices. Once cured, the meat can be stored in the fridge for at least a week (it may last longer but I haven’t tried). To keep the broth clear, I wash the spices off the spareribs before adding them to the pot. Together with large chunks of sweet carrots and cabbage, the cured ribs create a broth that’s remarkably nuanced with loads of soul-warming umami. 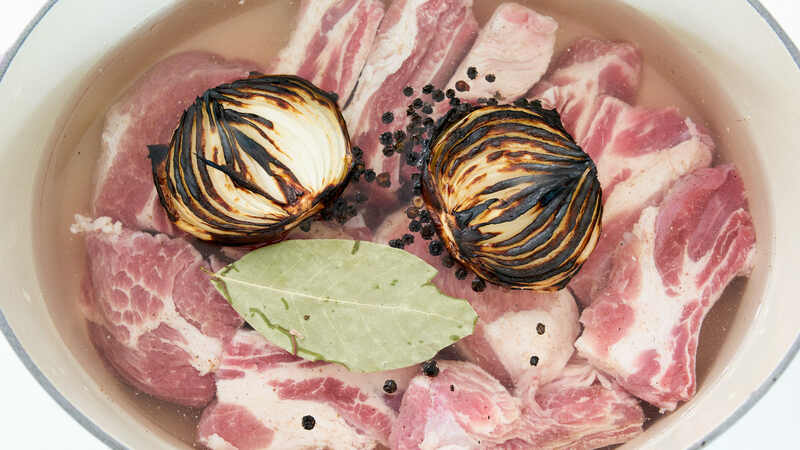 The second technique used in traditional Pot au Feu is to char the onions before adding them to the pot this gives the broth a bronze hue and a depth of flavor that belies its simple preparation. It’s this technique that led me to stumble upon a bit of food history that’s too good to ignore. If you’ve been following along for a while, you may remember that Phở is another dish that involves charring the aromatics. It’s an unusual technique that you could chalk up to coincidence until you examine the history of Vietnam. Like most of Asia, cattle were primarily used to till fields in Vietnam until the French introduced its culinary uses during the 19th century. Phở is thought to have originated in the early 20th century in the Nam Định province, which is an area that played a pivotal role in the French invasion of northern Vietnam. Add to all this the similarity in pronunciation between Phở and Feu, and it seems like more than just a coincidence. My hunch is that Phở developed out of a melding of Chinese noodle soups eaten in the region, along with French Pot Au Feu. Given this new found connection between the two dishes, I added rice noodles to the leftover Pot au Feu to make Pot au Phở, and it was delicious! 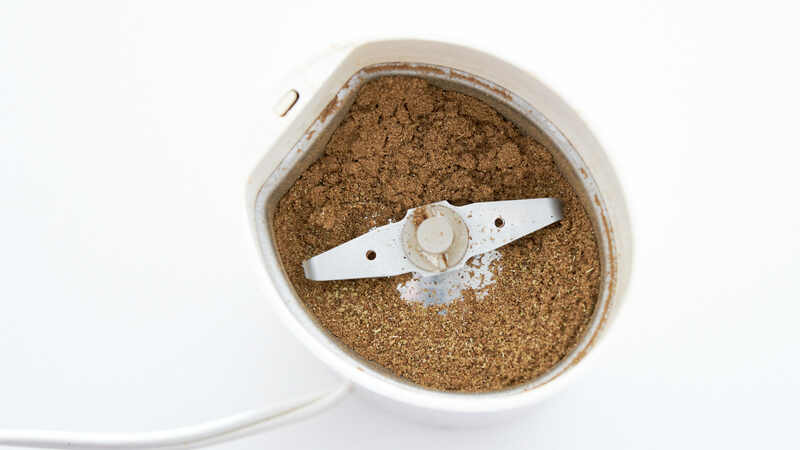 Put the juniper berries, cloves, allspice and fennel seeds in a spice grinder and grind into a powder. Mix the ground spices with the salt and sugar and then sprinkle evenly all over the spare ribs. Refrigerate for at least 2 days. 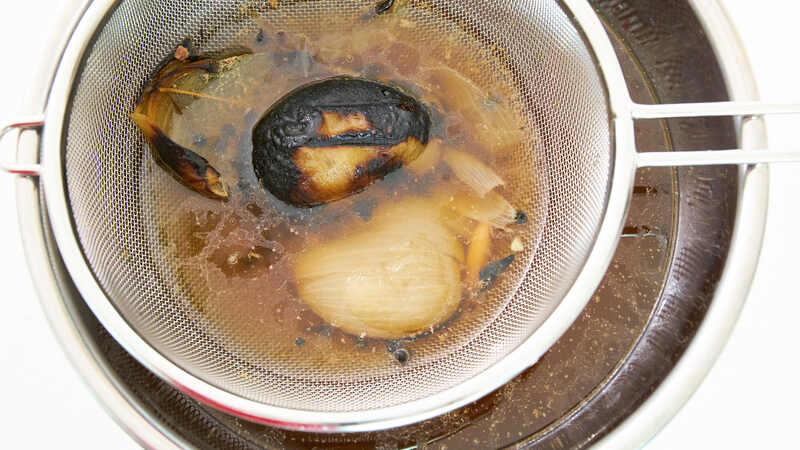 When you're ready to make the Pot Au Feu, put the onions cut-side up under a broiler. 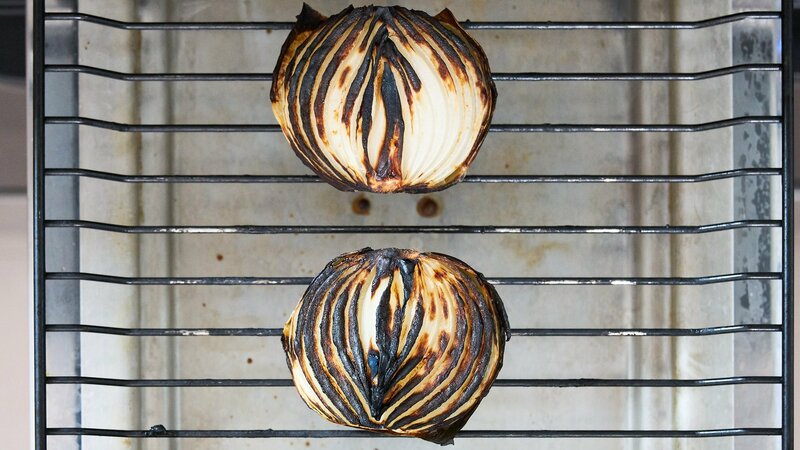 Broil on high until the onions are charred black on one side. 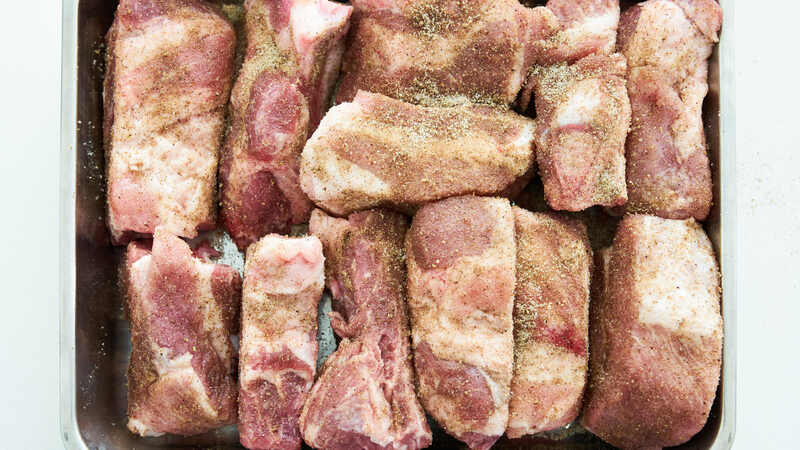 Wash the cured spareribs, to remove excess salt and the curing spices and place them in a large dutch oven in a single layer. Add the charred onion, along with the peppercorns, bay leaf, and water. Bring the pot to a boil over high heat and skim any foam that rises to the top. Repeat until there is no more foam. Turn down the heat to maintain a gentle simmer and then cover and simmer until the ribs are almost tender (about 1 1/2 hours). Transfer the meat to a bowl and set aside. Strain the stock through a fine mesh, pressing on the solids. Wash out the pot, and return the meat and stock to it along with the carrots. Cook for another 30 minutes. 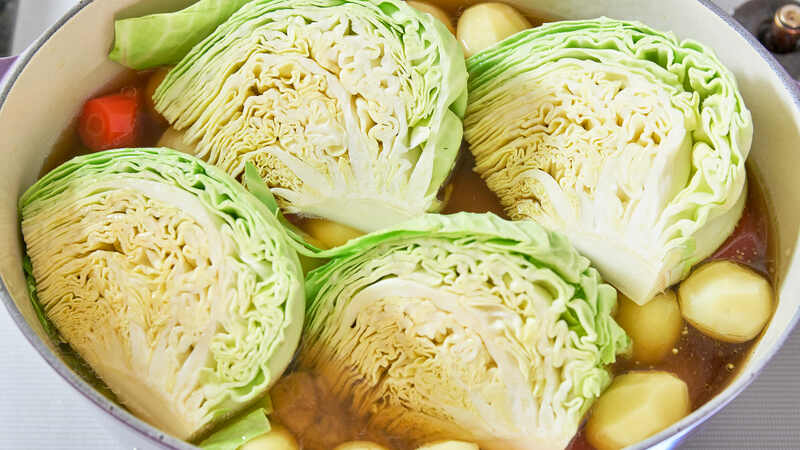 Add the potatoes and cabbage and continue to cook until the potatoes are tender (an additional 15-20 minutes). 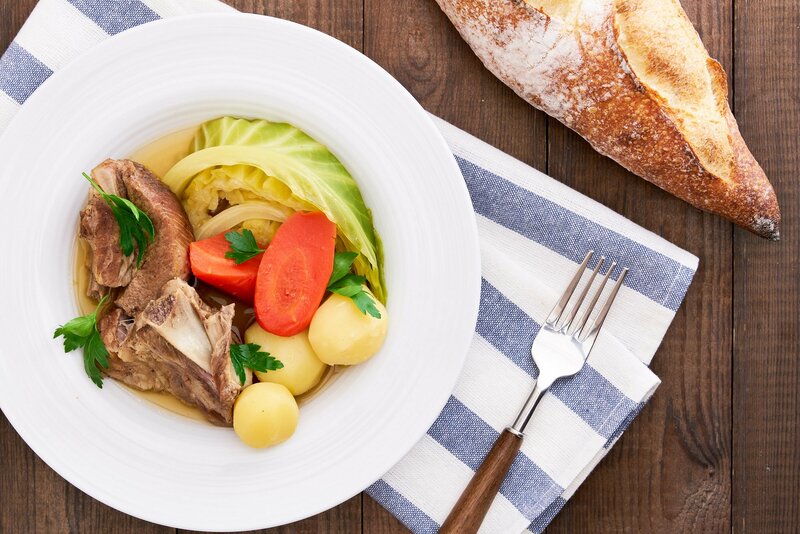 Serve the pot au feu with crusty bread like a baguette or bâtard.